ISO/IEC 27005 – Overview of the contents and its importance. The “ISO/IEC 27005 – Overview” webinar provides information of what an information security risk assessment is according to the ISO/IEC 27005 standard for information security management. You will also learn about the risk management recommendations that organizations should consider, within the context of ISO/IEC 27005. The target audience of this 1-hour webinar is anyone interested in learning about conducting a quality risk assessment, the basics of what the standard has to offer and how your organization will benefit from it. What does ISO/IEC 27005 offer? 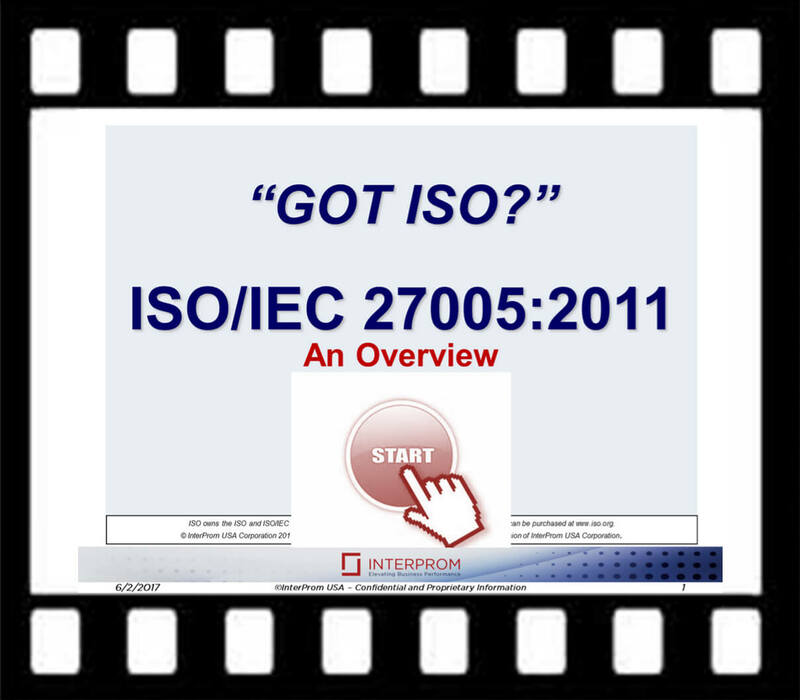 This webinar is part of the “GOT ISO” webinar series. These informational webinars are intended to increase awareness about ISO standards that are most commonly used by organizations. INTERPROM’s “GOT ISO” webinar series are educational and consist of no commercial information. You can expect real world examples drawn from decades-long implementation experience of your presenters for a better understanding of the featured topic. Mart Rovers has over 30 years of experience in IT and has been consulting and training in IT Service Management and Information Security Management since 1992. He currently serves as the President of INTERPROM and is a Board Member of the Arizona ITSM Professionals organization. Mart is a certified ISO/IEC 20000 Auditor and Executive Consultant/Manager (Master). He holds the ITIL® v3 Expert certification along with ISO/IEC 27001 Professional certifications. He has led numerous organizations towards becoming ISO/IEC 20000 and ISO/IEC 27001 certified and is an accredited instructor for ISO/IEC 20000, ISO/IEC 27001, and ITIL training courses. Mart received his MBA degree in Information Analysis and holds BS degrees in Mathematics and in Marketing.